Da Nang (VNA) – The central coastal city of Da Nang is striving to become a centre of tourism, high-quality services and high technology of Vietnam while playing a significant role in national urban development. According to Vice Chairman of the municipal People’s Committee Ho Ky Minh, Da Nang wants to develop services, especially tourism and trade, and attract investment in hi-tech industry and information technology. As well as developing culture, Da Nang will also build a civilised and environmentally-friendly city and develop high-quality human resources, he added. 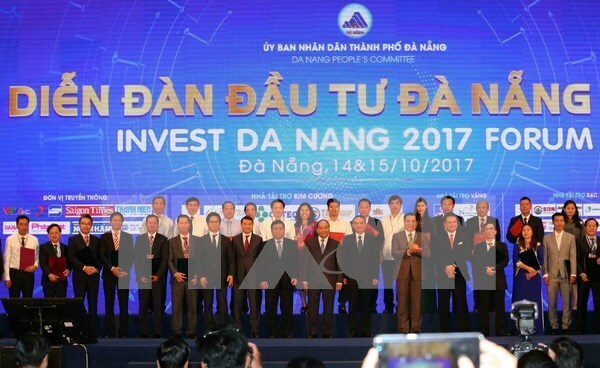 On the occasion of the business forum “Invest in Da Nang” on October 14-15, the city called for investment in key projects such as Lien Chieu port, railway station removal and urban redevelopment, infrastructure development at Hoa Nhon and Hoa Ninh industrial parks, solid waste treatment and water environment improvement, among others. From 2012 to present, Da Nang has maintained gross regional domestic product (GRDP) growth of 8-9 percent, much higher than the nation’s average GDP growth. As a driving force of the central region’s key economic zone, Da Nang is leading in the development of infrastructure as well as land, railway and airway connectivity for the central and Central Highland regions.